Dark days have befallen the Federation. As the Klingon government fractures the fragile peace crumbles to dust and war breaks out across the new factions of Klingons, and so too spilling out into the rest of the galaxy. You are an officer on the USS K'Hotan, a ship meant to be decommissioned until the Klingon War fell upon us all. The K'Hotan, a Yamato Class, is the last of the interceptors; and the fastest ship in the Federation. Those who served on the K'Hotan before the war have gotten used to working on an aging ship headed for retirement, following rules with lax attitudes and laid-back natures. Before the way, the K'Hotan was seen by some as a ship of misfits, officers that did not always have the discipline to serve on more prestigious assignments. New officers assigned to the ship find the atmosphere different than what they are used to, the strictness of a flagship gone on the interceptor. You may choose, taking the role of an officer experienced in the rules of the fleet, or taking the role of one of the so-called misfits, an officer who has learned how their duties can be completed without always following the same lines. 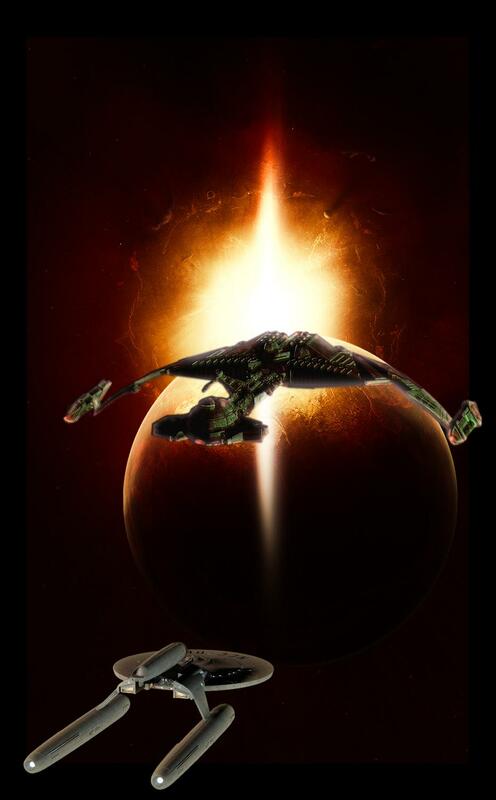 Star Trek: The Klingon War will take place in the nuTrek universe established in the two movies most recently released. There will be a theme of combat, defense, and protection throughout the game. The Klingon Empire has broken into factions, the largest stands on the strength of the houses, and vies for control of the complete empire as it once was. The second strongest stands with new ideas, forming a senate and war council working with a chancellor, a government not distant from that of the Federation. What remains beyond the two strongest pillars of Klingon Governments is a broken and feudal land where smuggling, piracy and black market dealings rule. In this lawless zone order and control change from world to world and the only true power is that of coin, and that of might. Those this group is the smallest, it is the most dangerous, as these warriors no longer fight for honor, but power and money. They are unpredictable, and their alliance swayed by greed.